Which antivirus apps can save iPhone and iPad truly? For long time, Apple is manufacturing smartphones for users. These phones rejoice users with new experiences. Apple products are more reliable, customizable and easy to use. Apple provides different types of apps that enhance the beauty of iPhone and iPad. But are these phones secure while you are browsing on internet or doing secure bank or mobile transactions? Probably your answer is NO. Yes sure there may be some apps also in iOS store that can steal your confidential information easily. These types of malware or viruses can harm your device or your privacy. For stopping such kind of cybercrime activities, there are many antivirus apps available in iOS store. These apps are free of cost and protect your phone from any kind of viruses and malwares. 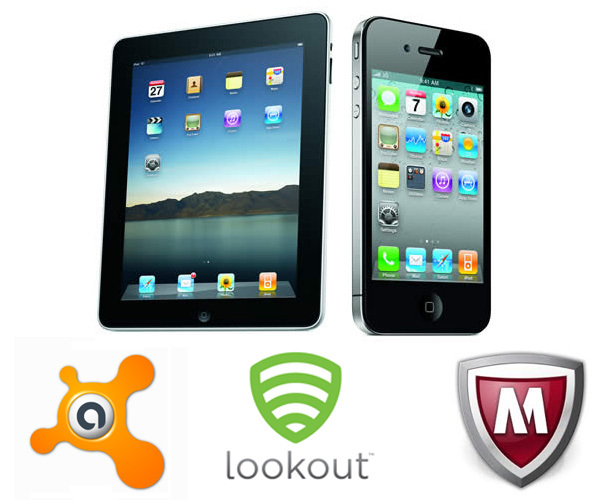 We are listing here top iPhone antivirus which has been develop for the iDevice users. Let’s have a glance. 1. LookOut mobile Security: LookOut Mobile Security application is the most popular antivirus that has been made for both the Android as well as iOS platform. This application is free to download and easy to access. It may mark a trustful appearance to the users. The LookOut Mobile Security scans the device for the bacteria (germs). It appends the scanning of internal as well as external memory, web browsers, downloads folder, Wi-Fi connectivity of your device. This app has an unrivalled feature that it can track your phone if it gets lost. 2. McAfee Antivirus: McAfee is also popular app that blocks virus and prolongs your smart phone. This app surrounds your device with protection along with it updates you time to time about latest threats. Podcast service is also added to update you about the device’s security. 3. Norton Antivirus: Norton Antivirus was firstly developed for desktop. And now days it is available for mobiles also and which free. As like LookOut Mobile Security, the Norton Antivirus application protects your devices in all terms and also tracks the phone after it gets lost.